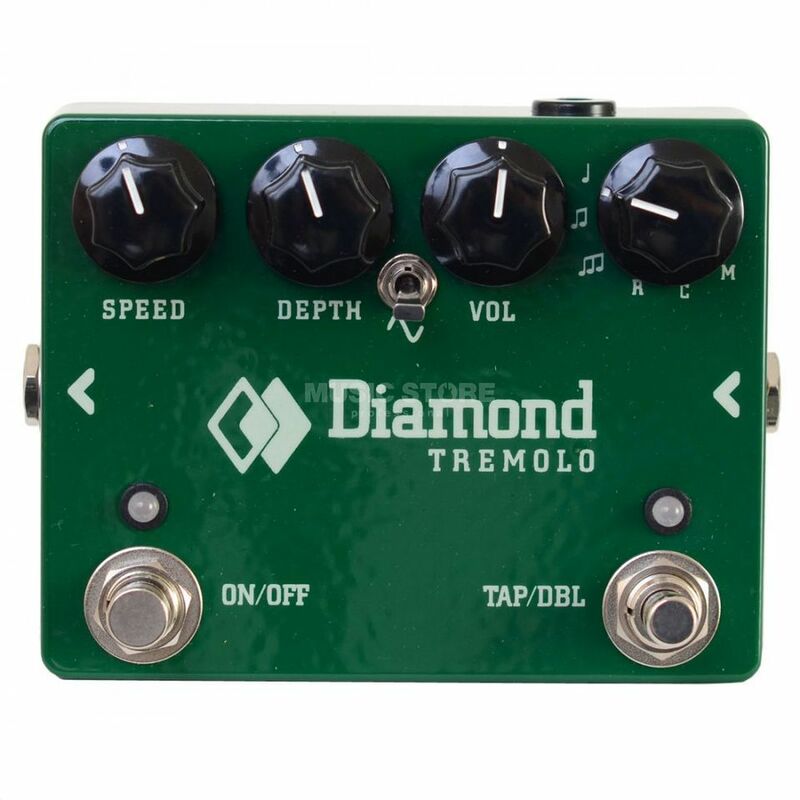 The Diamond Pedals Tremolo Guitar Effects Pedal is a sturdy and versatile tremolo pedal. Offering a clear, almost entirely noise free signal, this robust pedal features true bypass and can be powered using either 9V battery or 9V DC adaptor; a perfect addition to any serious pedalboard. At the heart of the new Diamond Tremolo is a 100% analogue signal path utilizing an optoisolator like vintage tube amplifiers of the 60’s. The analogue signal path is combined with a microprocessor controller to provide a host of cool features including tap tempo and footswitchable double speed mode.